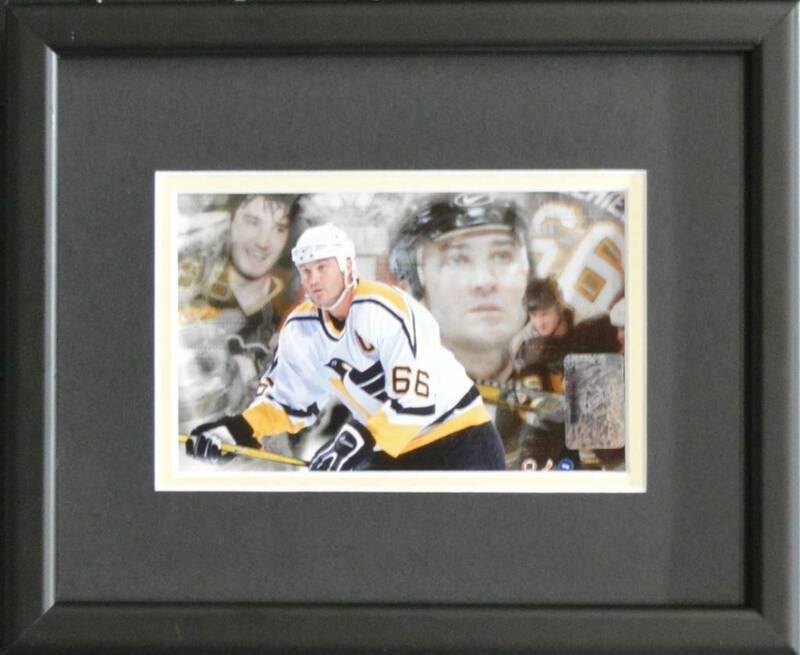 Contains a 4x6 print of the player listed. Approximate outside dimensions are 9 7/8" by 11 7/8". Double matted in black and team color. Frame is solid wood with 2.5mm Tru Vue Glass. Comes with protective corners and shrink-wrapped.